1. I never did very well in school, I hated being called to the blackboard and having to work out some problem. Usually several people were up there on the blackboard working out a problem. One of the things that saved my hide was the eraser! I would get a quick glance at the person next to me, and then erase what I had written and put his answer up there. I used it profusely, I erased mistake after mistake with that eraser. It gave me a second change to get it right. 2. As a Christian, I have also made mistake after mistake, it sounds better than sin after sin. 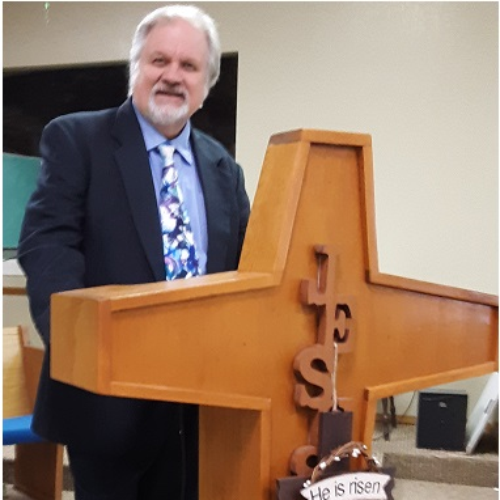 But I would not be standing behind this pulpit today if it were not for the God of the Second Chance who not only wipes out our sin with His blood, but gives us another chance to get it right. 3. The Second Chance is Required – because of our many failures. I. FIRST, THE SECOND CHANCE IS REQUIRED. “And it was…” – this is how it begins in the original. “The little word “Now” or :And: as many translations prefer, with which the book begins…In Hebrew, as in any language, it is a conjunction, a joining word which implies and preserves continuity with what has gone before. Appearing in the opening verses of Exodus, Leviticus and Numbers, it thereby joins the first four books of Moses, as it does also the books of Joshua, Judges, Ruth, and the books of the kings. Ezra and Esther commence in the same way, as does the prophecy of Ezekiel. Here Jonah…unites his prophecy with that of others and maintains the uniformity of the inspired writings.” [What the Bible teaches, Richie Old Testament Commentaries, Jonah p. 503]. A sixth reason for regarding the Bible as the revealed Word of God is the extraordinary unity of the book…The Bible is composed of sixty-six parts, or books, written over a period of approximately fifteen hundred years (from about 1450 B.C. to about A.D. 90) by over forty different people. These people were not alike. They came from various levels of society and from diverse backgrounds. Some were kings. Others were statesmen, priests, prophets, a tax collector, a physician, a tentmaker, fishermen. If asked about any subject at all, they would have had views as diverse as the opinions of people living today. Yet together they produced a volume that is a marvelous unity in its doctrine, historical viewpoints, ethics and expectations. It is, in short, a single story of divine redemption begun in Israel, centered in Jesus Christ and culminating at the end of history. The nature of this unity is important… What can account for this unity? There is only one way of accounting for it: behind the efforts of the more than forty human authors is the one perfect, sovereign and guiding mind of God. It is not a superficial unity, but a profound unity. On the surface, we often find apparent discrepancy and disagreement, but, as we study, the apparent discrepancy and disagreement disappear, and the deep underlying unity appears. The more deeply we study, the more complete do we find the unity to be. The unity is also an organic one—that is, it is not the unity of a dead thing, like a stone, but of a living thing, like a plant. In the early books of the Bible we have the germinant thought; as we go on we have the plant, and further on the bud, and then the blossom, and then the ripened fruit. In Revelation we find the ripened fruit of Genesis. High over the portals within the south transept of the 800-year-old cathedral of Chartres in France spreads a great Rose window, forty feet in diameter. At its center sits Christ, while immediately around him orbit eight angels and symbols for the four evangelists, each enclosed within a circle of stained glass-and beyond them orbit the 24 elders of the book of Revelation, each also within its own bejeweled circle—for a total of 36 orbiting circles of blue, red, gold, purple, and white! Enough to make your head spin. Nor is that gigantic wheel of color the only thing to enchant you in that soaring wing of the cathedral, because below it rise five more long and narrow windows, the central one featuring Mary, while the other four show images of the evangelists, Luke and Matthew, John, and Mark-in that sequence.